What is a Spear Study Club? 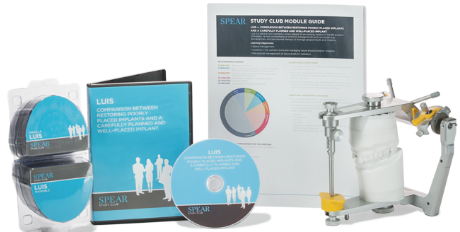 The small-group dynamic of Spear Study Club provides you and members of your interdisciplinary team with prescribed clinical content to shape productive referral relationships. 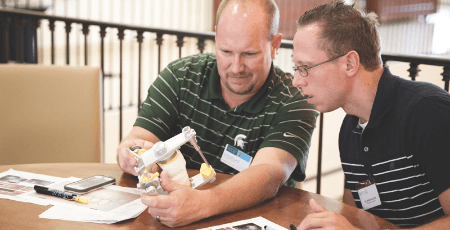 In clubs of 8-10 members, you will collaborate on real-world cases in a hands-on atmosphere supported by curriculum and online learning modules from the industry leader in dental continuing education — helping you form the bonds that lead to consistently successful case management. support of a club structure that equips you with exclusive content and learning tools. Guide your fellow doctors to Great Dentistry. Leading a club is the ideal way to positively support and encourage stronger interdisciplinary teamwork in your community. We provide you with tools to develop a highly collaborative system that builds trust and enables everyone to improve. As a Spear Study Club Leader, you set the pace for your club to meet up to eight times a year in a comfortable, small-group environment. 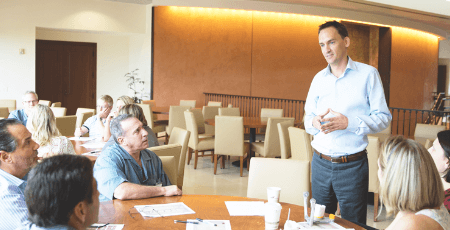 Each meeting incorporates guided discussion videos and clinical resources, including online learning modules created and taught by world-renowned Spear Resident Faculty. We’ll locate a club that satisfies your drive toward Great Dentistry. 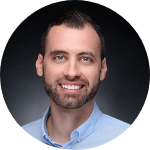 Joining a Spear Study Club is as simple as getting mapped to one in your area that includes interdisciplinary team members with the right mix of expertise to help you improve. 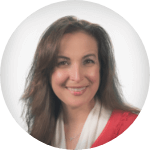 The small-group dynamic enables everyone on the team to learn clinical strategies and shape lasting bonds. It’s much more hands-on and practical and you get ideas from it you can bring back to your practice and use right away. 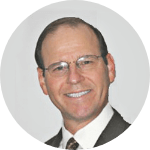 You’re going to learn, you’re going to grow, you’re going to hear about different processes from different practitioners — which is important because there is always more than one way to approach a case. [Spear Study Club] has completely transformed the way I practice — from the moment the patient walks in the door, to my clinical expertise and case presentation. equips you with a small-group environment designed to help interdisciplinary teams evolve. Contact a study club advisor at 855.773.2772 or studyclub@speareducation.com. 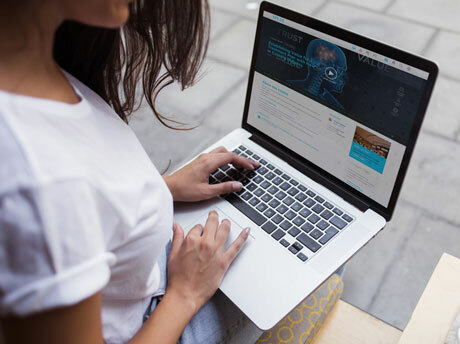 You and up to 10 of your staff get 24/7 access to dentistry’s most innovative online education platform for any related content and supplemental learning tools. Take advantage of more than 1,300 CE-eligible clinical and practice management lessons, team training resources and team meeting materials. With Spear Online access, you get exclusive use of Patient Education platform and tablet app, which revolutionizes the chairside experience with animated videos that help patients clearly visualize their conditions and confidently accept treatment. Customize content for specific cases, pause videos to make annotations with a drawing tool and share treatment recommendations with patients with the swipe of your finger. 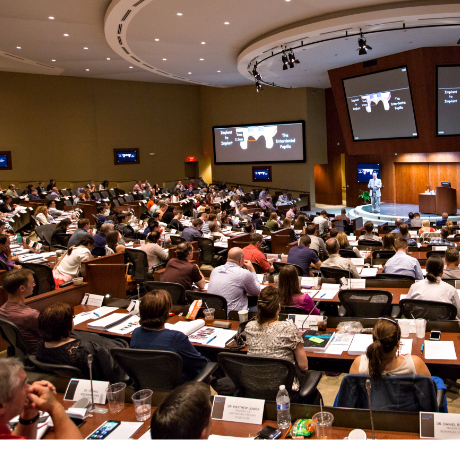 The three-day, members-only event features Spear Resident Faculty and distinguished guest speakers presenting exclusive content available nowhere else in dentistry. You will correspond with a dedicated member success advisor who provides concierge-level service every step of the way. 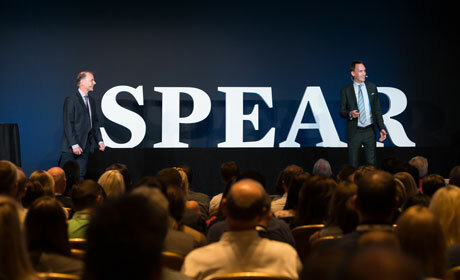 Access to Spear Summit, the annual, two-day, members-only event in Scottsdale (Sept. 19-21, 2019) that features Resident Faculty and renowned guest speakers who present exclusive content available nowhere else in the industry. Complete the form and an Education Advisor will be in touch. Do you lead a study club that you want to convert to a Spear Study Club? What are your goals for starting a club in your area? Do you have doctors in mind that you would like to join your club? Is there a specific club you are looking to join? Are you currently a Spear Member?